Are you frustrated because you know that you are not reaching your potential? And you think that your ADHD symptoms are getting in your way? Then know that there is support to help you minimize your challenges and capitalize on your strengths to reach your goals. I am committed to guiding adults with ADHD to implement successful, proven ways of minimizing the challenges of ADHD while accentuating your strengths so that you can achieve your goals and dreams. If you are looking for a proven professional to help you optimize your ability to follow through and complete your most important activities and streamline your personal and professional tasks, you have come to the right place. With over 20 years of experience helping people achieve incredible success, I will help you adopt the skills and confidence you need to be successful. My clients come from a variety of backgrounds, including executives, entrepreneurs, professionals and academics. They credit my strategic coaching, creative problem solving, keen insight, uncanny ability to envision alternative paths and compassion for the progress they continue to make in their personal and professional life. After only a few calls she seemed to have me figured out pretty well. She called me on empty promises, pushed me just enough never too much, and together we came up with tools that actually work and which I actually use. She has an uncanny ability to know how far she can push me without ticking me off. Thanks to that I never felt pressure to lie about or excuse what I had done or how I was doing. Check out what other clients have said about the benefits they received through our work together. What energizes me about this work is knowing that through my collaborative work with my clients they are ready, as you can see by their comments, to reach their goals. Be sure that your goals and values are aligned. Take the time to discover what helps you to operate at your best. Create an environment that utilizes your strengths and minimize your challenges. Be willing to accept help when needed. Always, always use a tool to track your tasks and activities, rather than relying on your memory. Create a weekly and daily habit of planning. Not sure how to accomplish the above? I can help you. And I will do so with compassion; I will always be mindful and respectful of your capacity, never pushing you beyond where you want to and are ready to go. Below are four things about me that might surprise and delight you – while serving our work together. I always wanted to live closer to my family. About 15 years ago, I gave up a tenured position teaching high school, sold my house and moved with my daughter to Boston. After arriving in Boston, without a job, I secured a position in the training department for a premier software company and subsequently worked at a leading university providing academic support to students. I am never one to shy away from taking calculated risks, and have taken many in my life. Being the sole wage earner in my family, I never thought it was possible to achieve my lifelong dream of having my own business. I was wrong… I finally took the leap and launched my now flourishing coaching and training company, Cummins Coaching and Training. My varied career and life path provides me with a breadth of experience that benefits my clients. And, yes, I even wrote the book, ADD to Done: Beyond Stuck, Procrastination and Overwhelm. It is based on proven strategies I have used in my own life and with clients. Coaching Teens & College Students with ADHD through the Edge Foundation. I have a B.A. in economics from the University of Wisconsin – Madison, where I graduated with honors and Phi Beta Kappa, and a M.S. is in Experiential Education and Leadership from the University of Minnesota – Mankato. 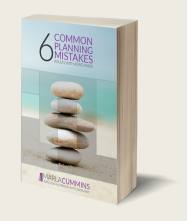 First, sign up to receive a Free Report, Six Common Planning Mistakes That Adults with ADHD Make (and how to fix them). Then, if you are considering hiring an ADHD Coach, and would like more information, Schedule a Complimentary Consultation.